No one questions the good intent behind the EU’s General Data Protection Regulation (GDPR) legislation, or the need for companies to be more careful with the proprietary information they have about clients, patients, and other individuals they interact with regularly. While the provisions within the GDPR do help, they have also created new opportunities for hackers and identity thieves to exploit that data. There’s no doubt that seeking to be fully GDPR compliant is more than just a good idea. Along the way, just make sure your organization doesn’t fall victim to one of the various scams that are surfacing. Let’s take a quick review of GDPR and then dive into the dirty tricks hackers have been playing. 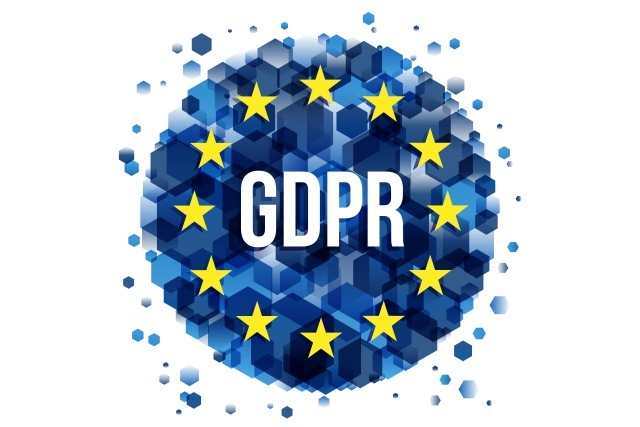 In 2018, the GDPR established a set of guidelines for managing the collection and storage of consumer and proprietary data. Much of it pertains to personal information provided by individuals to an entity. That entity may be a banking institution, insurance company, investing service, or even a health care facility. The primary goal is to ensure adequate protections are in place so that an ill-intentioned third party can’t exploit the personal information of those organizations’ employees, clients, and patients. While there has been pushback about some of the provisions within the GDPR (especially the need for additional data security personnel outside of the usual IT team), many organizations have been eager to adopt the measures. After all, being GDPR compliant can decrease the risk of a breach and would prove helpful if lawsuits resulted after a breach. There is an ongoing discussion about what represents adequate and appropriate security in terms of GDPR compliance. To some degree, the exact approach to security will vary, based on the type of organization involved and the nature of the data that is collected and maintained. Even so, there is some overlap that would apply in every case. Compliance involves identifying and reinforcing every point in the network where some type of intrusion could possibly take place. Using Artificial Intelligence technology to reinforce points of vulnerability while also monitoring them for possible cyberattacks is another element. Even having an escalation plan in place to handle a major data breach within a short period of time is something any organization could enact. One point that is sometimes lost in the entire discussion about GDPR security is that the guidelines set minimum standards. Entities are free to go above and beyond in terms of protecting proprietary data like customer lists. Viewing compliance as the starting point and continuing to refine network security will serve a company well in the long run. So What Have Hackers Been Doing Since the Launch of GDPR? There’s no doubt that hackers and others with less than honorable intentions have been doing their best to work around the GDPR guidelines even as they use them to their advantage. Some news reports claim that GDPR has made it easier for hackers to gain access to data. So what exactly have these ethically challenged individuals concocted? As far as we know, it’s not really called reverse ransomware but that seems to be a pretty good way to describe this evil little scheme. As a review, a ransomware attack is when a hacker gets into your system and encrypts data so you can’t see or use it. Only with the payment of a ransom, typically in untraceable Bitcoin or other cryptocurrencies, will the hacker make your data usable again. The sad ending to the ransomware saga is that more times than not, the data is never released even if the ransom is paid. But GDPR has provided the inspiration for the bad guys to put a sneaky spin on the data drama. In this case, they penetrate the network by whatever means available to collect the customer lists, etc., which the EU has worked so hard to protect with the new regulations. The threat with this variation, however, is that the data will be released publicly, which would put the organization in immediate violation of GDPR and make it liable for what could be a hefty fine — one that is substantially larger than the ransom the criminals are demanding. Of course, the hacker promises not to release the data if the hostage company pays a ransom and might even further promise to destroy the data afterward. If you believe they’ll actually do that, I’d like to introduce you to the Easter Bunny and Tooth Fairy. The attacker has already demonstrated a strong amoral streak. What’s to stop them from demanding another payment a month down the road? If you guessed nothing, you’re right. But wait, there’s more. Many organizations have seen a continual flow of unsolicited emails offering to help them become GDPR compliant. These range from offering free consultations that can be conducted remotely to conducting online training sessions to explain GDPR and suggest ways to increase security. Typically, this type of phishing scheme offers a way to remit payments for services in advance, with the understanding that the client pays a portion now and the rest later. Unsurprisingly, anyone who clicks on the link may lose more than whatever payment is rendered. Wherever the individual lands, the site is likely to be infected with spyware or worse. And if the email is forwarded throughout an organization or outside of it? The infection spreads. I believe we need to be savvier with emails. That means training employees to never click on links in unsolicited emails, and to report suspicious emails to the security team at once. As you can see, GDPR has provided a variety of crime opportunities for an enterprising hacker. These are just two examples of how they use GDPR for profit at the expense of hardworking business owners. The best first step when confronted with any of these types of threats is to not act on it. Instead, forward it to an agency that can properly evaluate the communication. Web security software: The first line of defense is a firewall (updated regularly of course) that prowls the perimeter, looking to prevent any outside threat’s attempt to penetrate. In addition, be sure to implement network security software that detects malicious network activity resulting from a threat that manages to bypass your perimeter controls. It used to be that you could survive with a haphazard philosophy towards security, but those days are long gone. Get good security software and put it to work. Encrypt that data: While the firewall and security software protects a network from outside penetration attempts, your data doesn’t always stay at home safe and sound. Any time a remote worker connects back to your network or an employee on premises ventures out to the open Internet, data is at risk. That’s why a virtual private network (VPN) should be a mandatory preventive security measure. It’s a simple but strong idea. Using military grade protocols, a properly configured VPN service encrypts the flow of data between a network device and the Internet or between a remote device and the company network. The big idea here is that even if a hacker manages to siphon off data, they will be greeted with an indecipherable mess that would take the world’s strongest computers working in unison a few billion years to crack. They’ll probably move onto an easier game. And while a VPN should be a frontline tool to combat hackers, there’s something else that might even be more important. Education and Training: Through ignorance or inattention, employees can be the biggest threat to cybersecurity. It’s not enough to simply sit them down when you hire them and warn dire consequences if they let malware in the building. Owners need a thorough, ongoing education program related to online security that emphasizes its importance as being only slightly below breathing. The GDPR does not have to be a stumbling block for you or an opportunity for a hacker. Stay proactive with your security measures and keep your antenna tuned for signs of trouble. Dieser Eintrag wurde veröffentlicht in Security, Web und getaggt mit GDPR am 5. April 2019 von innovation.